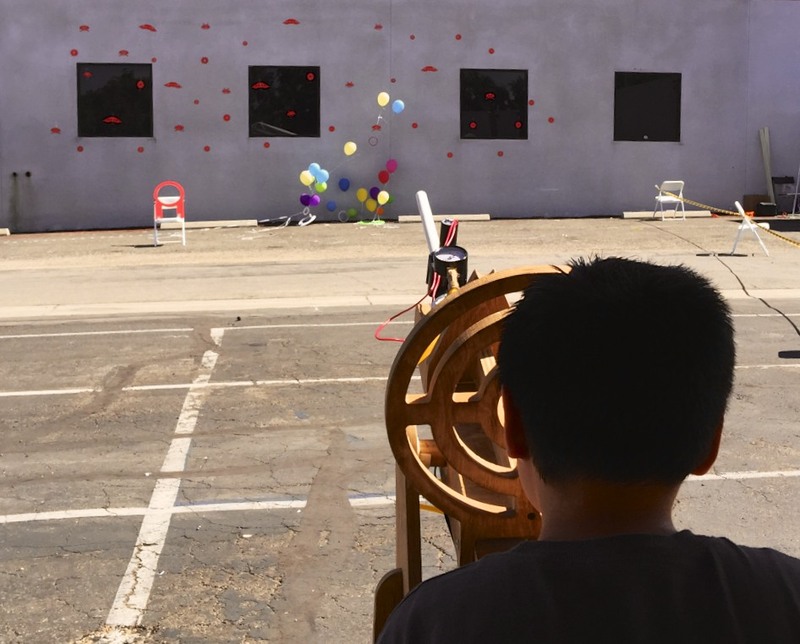 The juggernaut of Maker Faire continues to shoot skyward. Last year there were 100 Faires. 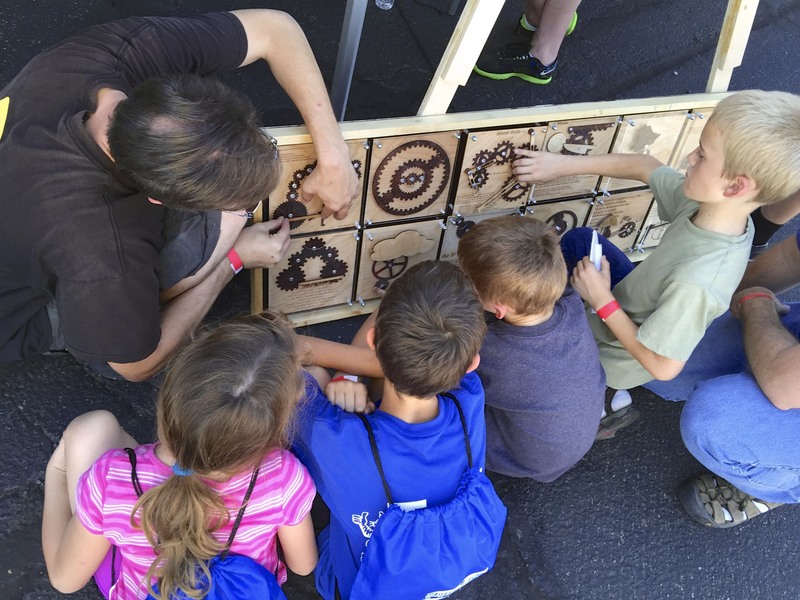 This year there will be around 135 and recently there were 10 Maker Faires on a single weekend for the first time. Next year who knows how many more there will be? However, one thing is certain. 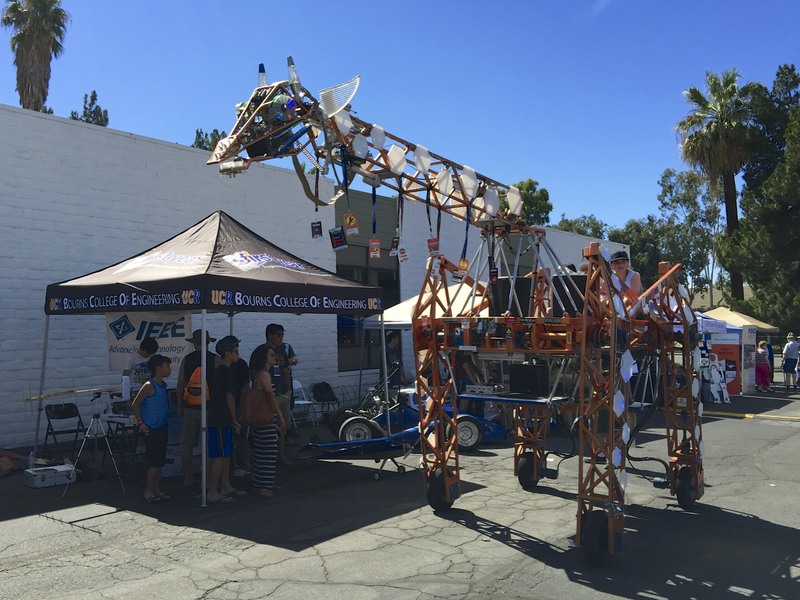 The newest Maker Faire was in Riverside, California just this past Saturday: IEMMF. Parading with dance music and giving rides, Russell was as always a hit! Watching a MMF production team come together around a Maker Faire for the first time can be inspiring. This is especially true when there is so much support from the Maker Faire community. Vocademy had an (all too common) ambition of launching their event very quickly, in less than 90 days. 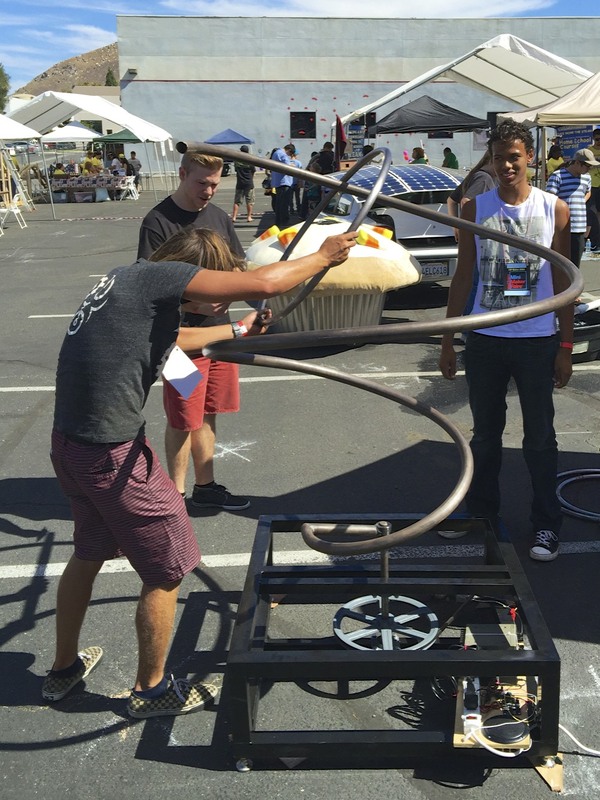 Doing this on the heals of launching their business and attending the White House Maker Faire was quite ambitious but they were already an established team and they had help. Orange County MMF, Burlington MMF, San Diego MMF, and others weighed in with assistance and insight. So, how did it go? Wonderfully! 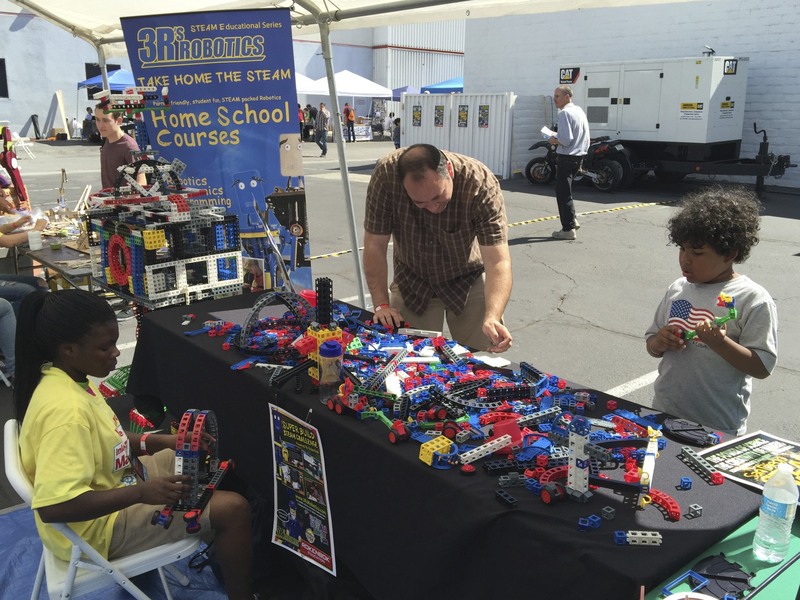 Even temperatures of 102 degrees couldn’t dampen the enthusiasm of the 70+ exhibitors and the waves of attendees. How could the weather compete with Russell the Electric Giraffe? 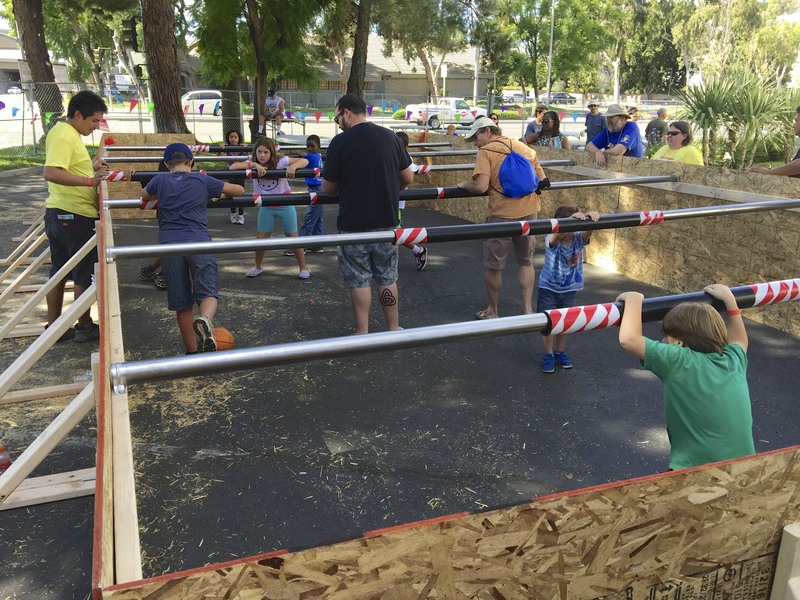 The playfulness of Human Foosball? 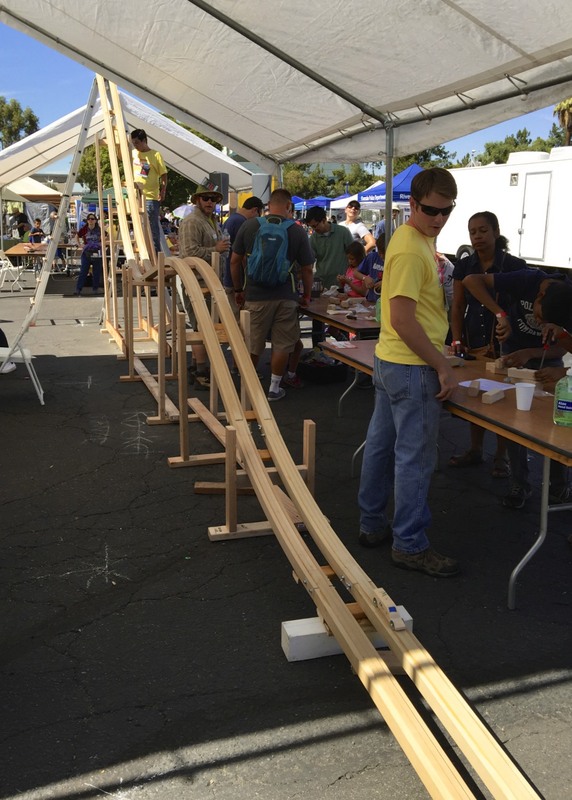 The thrill of air-rockets-on-steroids or the world’s tallest Nerdy Derby? 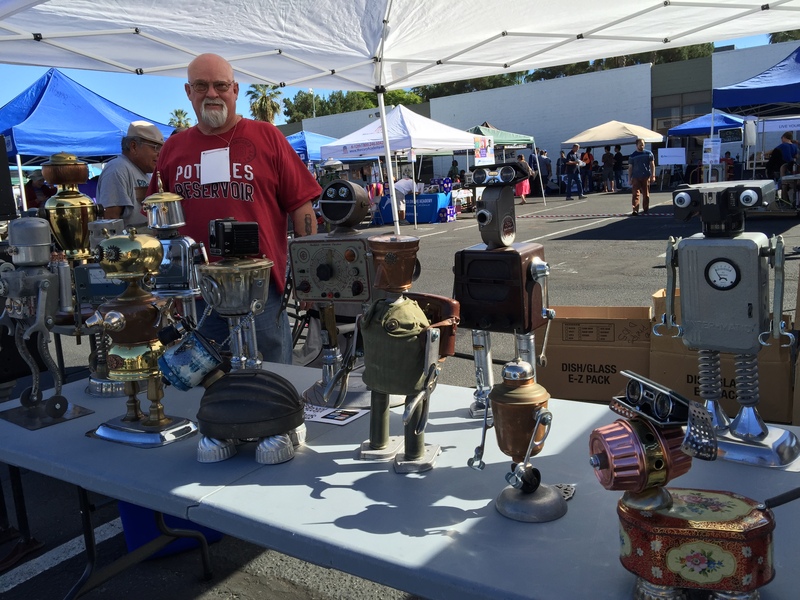 All these and many more were mixed with the joy of powered skateboards, parading 501st and R2s, search-and-rescue robots, electric go-kart, robot sculptures, and so much more. Heck, even a Tiny Home was on display! Click here for a complete list of exhibitors. In the end, what they pulled off was an excellent Faire. One lesson to be learned is that MMF’s are a community. Working together and supporting one another really helps. 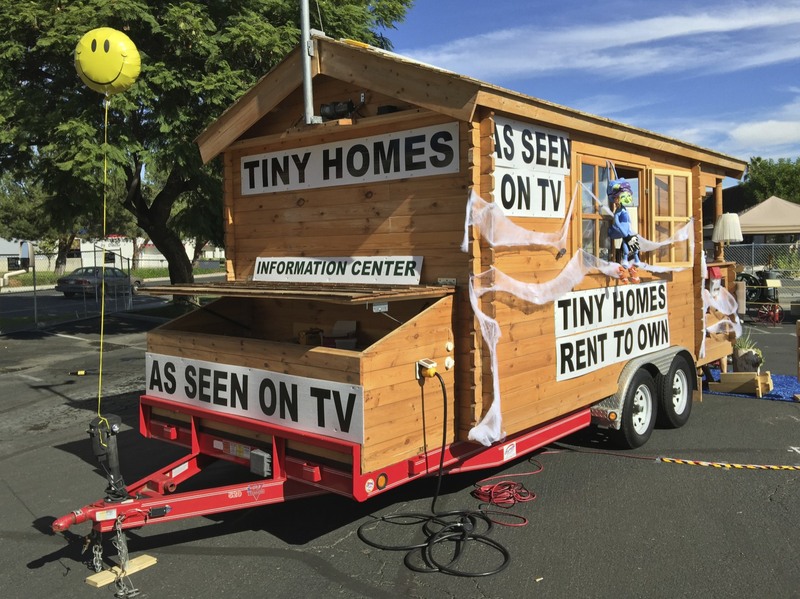 Tiny Homes – kit homes on wheels!